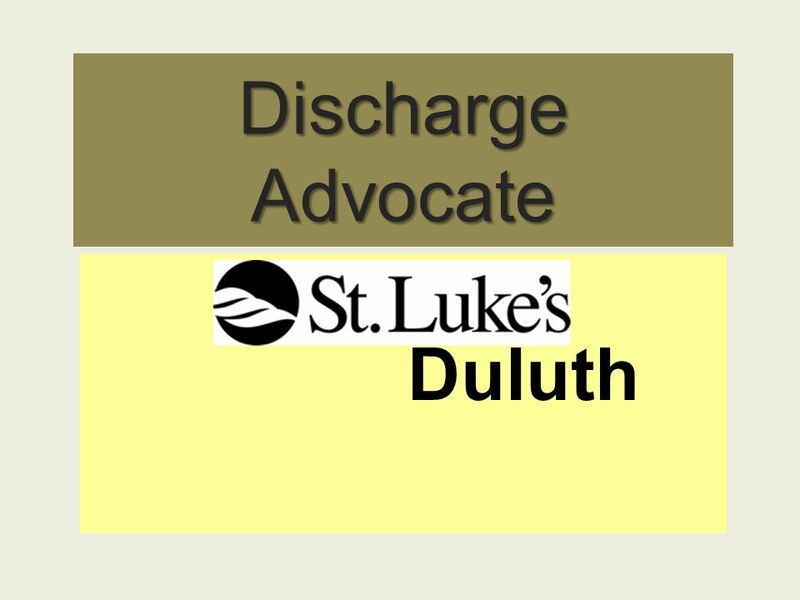 Discharge Advocate Duluth. . St. Lukes Discharge Advocate Discharge Advocate position is part of the Case Management Department In February a pilot study. 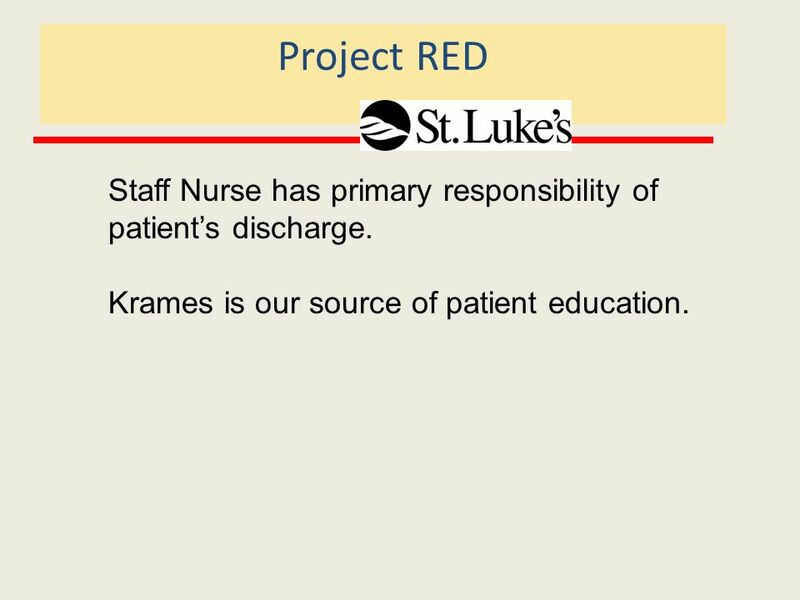 7 Project RED Staff Nurse has primary responsibility of patients discharge. 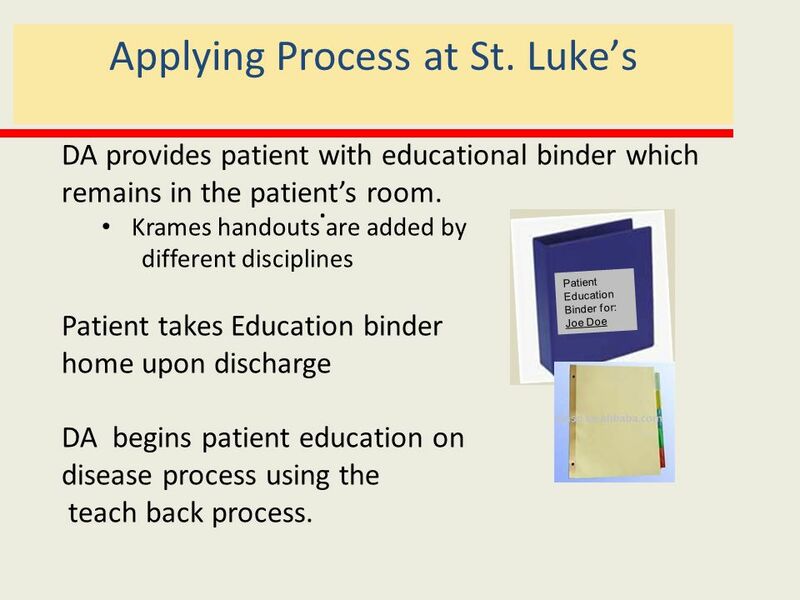 Krames is our source of patient education. 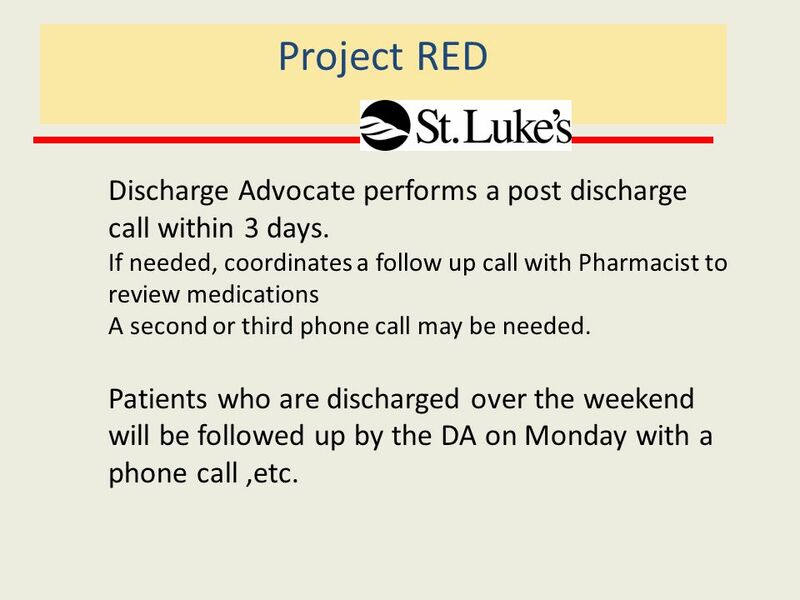 8 Project RED Discharge Advocate performs a post discharge call within 3 days. If needed, coordinates a follow up call with Pharmacist to review medications A second or third phone call may be needed. Patients who are discharged over the weekend will be followed up by the DA on Monday with a phone call,etc. 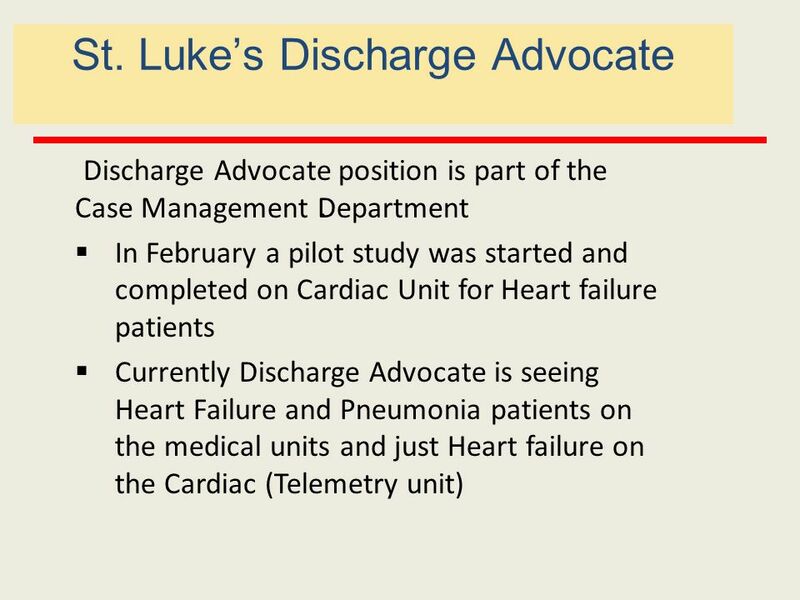 Download ppt "Discharge Advocate Duluth. . St. Lukes Discharge Advocate Discharge Advocate position is part of the Case Management Department In February a pilot study." 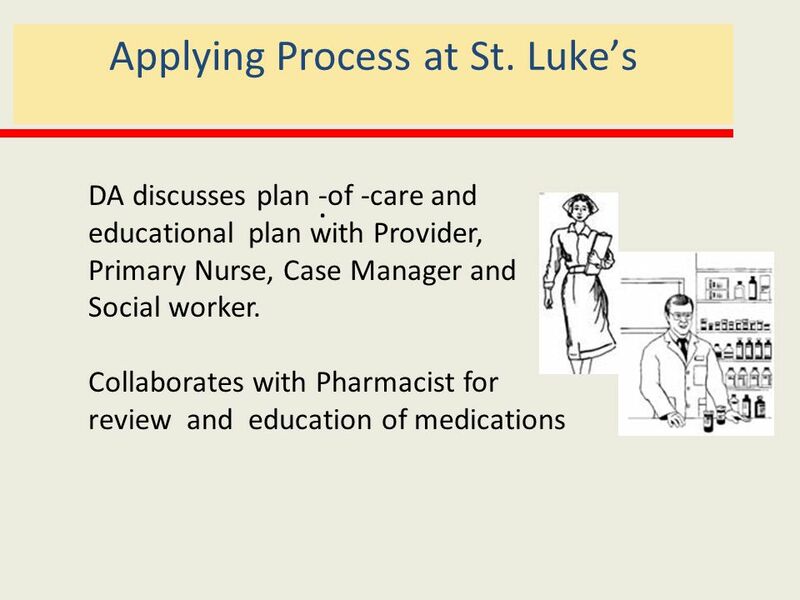 RARE Networking Webinar: “Improving Care Transitions for Patients with Mental Illnesses and Substance Use Disorders” Speakers: Paul Goering, MD Allina. Safe Transitions North Memorial Using Society of Hospital Medicines BOOST Toolkit To Improve Patient & Family Engagement. 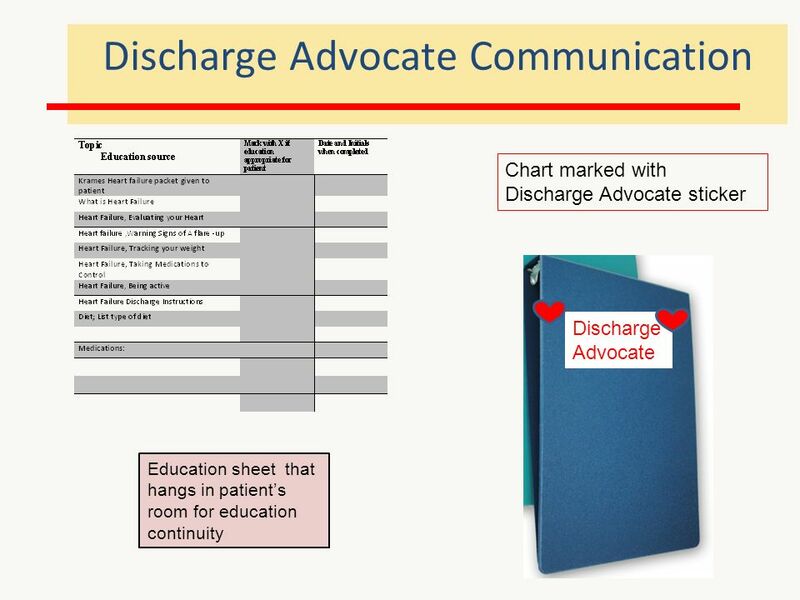 Module 2 The Re-Designed Discharge Process: Patient Admission and Care and Treatment Education Module 2 The Re-Designed Discharge Process: Patient. Med Rec in Rural NSW hospitals –the High 5s study and accreditation. The Mount Sinai Health System Experience. What is PACT? The Preventable Admissions Care Team is… An intensive, short-term transitional care program. Building Healthiest Communities By Aligning Forces For Quality (AF4Q) A Community Collaboration. 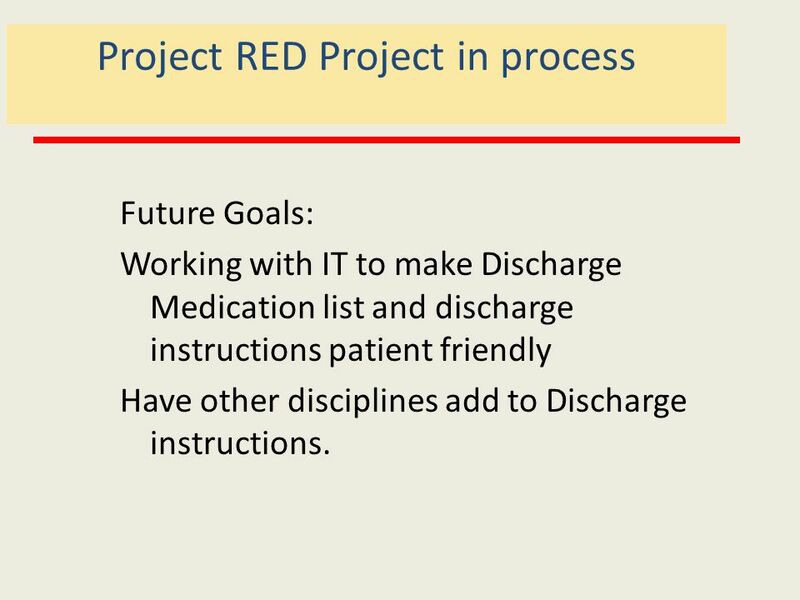 A Rehospitalization Reduction Program on a Geriatric Skilled Nursing Unit Randi Berkowitz, MD Hebrew SeniorLife. Transitions of Care: From Hospital to SNF Steven Tam, MD Assistant Clinical Professor UCI Program in Geriatrics, Internal Medicine. Transforming Care and Cost at the Bedside Jennifer Fogel, RN Director of Nursing Systems Eastern Maine Medical Center. Vaccination Performance Improvement How did it happen? 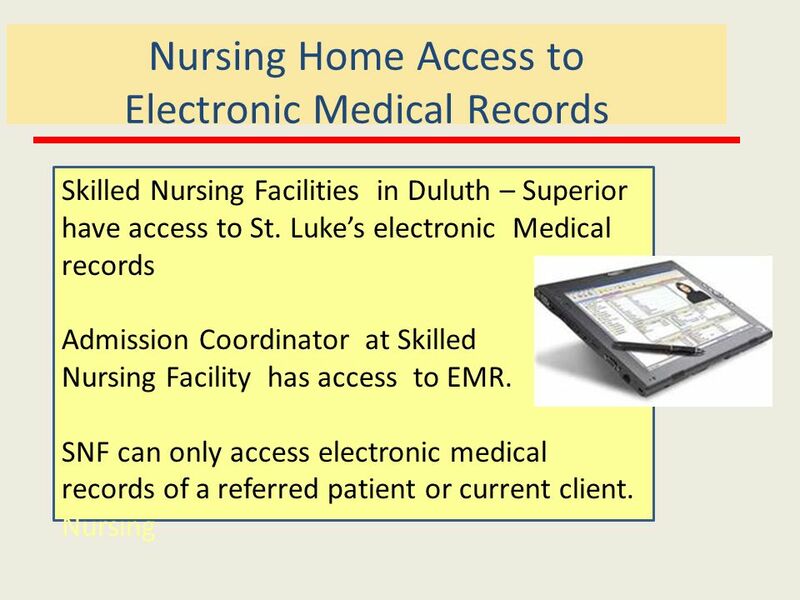 Judy Gadke RN, MSN Clinical Case Management Specialist Saint Joseph’s Hospital Marshfield, WI January. Risk Assessment - What are we Learning? Stephanie Mudd RN MSM CCM Supervisor, Care Management TG/AH/MBCH 1 Presented by Washington State Hospital Association. Mercy Medical Group Sacramento, CA 280 multispecialty providers 7 clinical pharmacists serving 4 regions to support: ◦Utilization management ◦Cost-related. Each Home Instead Senior Care franchise office is independently owned and operated. Each Home Instead Senior Care ® franchise office is independently owned. 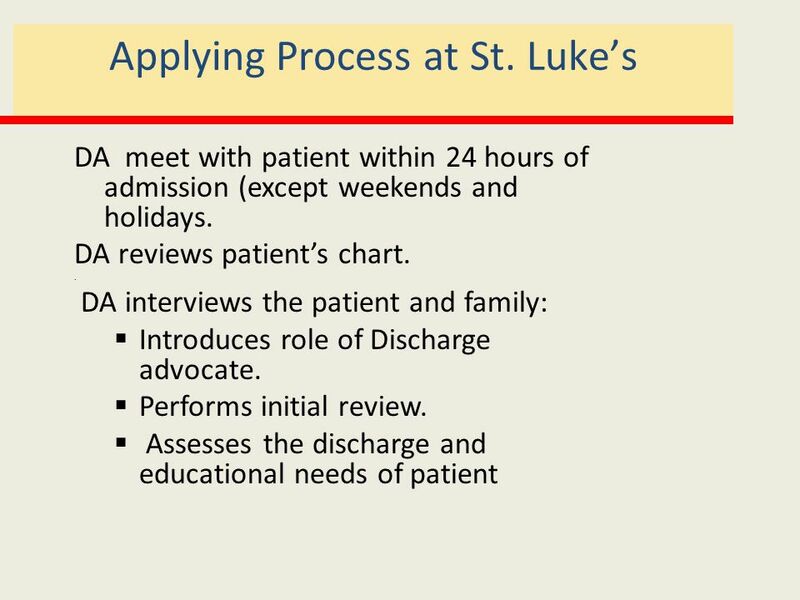 Best Practices in Readmissions Susie Payne, RN MSHA Director Resource Management Clearview Regional Medical Center.